My name Dwi. Please pray for me without ceasing. I need a lot of prayers and miracles. My parents forsake me and just thinking about themselves so that my life and future is messed up. Their cousin cheated and stole their property. Then when my life was better I usually helped my older sister financially but now she wants to take over all the properties of our parents. She stole the money that can be used for the medical and treatment of our father who was terminally ill. Even she with my younger brother instead wanted our father who was terminally ill that his life be terminated, rather than given treatment. Until finally our father passed away, my older sister never cease slandering me. I was without a job when I had to take care of our father. I am very poor after our father passed away. 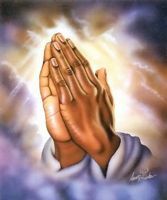 I need prayer in order to obtain employment and recovery from illness. I also want to have a charge to complete my studies at the university without any problems. Although I've been a long time don't attend study since does not have a charge.